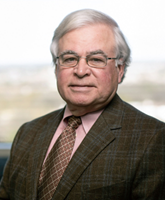 Phil Butler has practiced in the area of civil litigation since 1971. He has been lead chair in defending over 100 jury trials in the most difficult and challenging forums in the State of Alabama. Phil's trial experience includes such areas as products liability, reinsurance disputes between insurance carriers, insurance fraud and bad faith, wrongful death actions, motor vehicle accidents, aviation crashes, pharmaceutical mass tort litigation, construction disputes and eminent domain.In recent years, Phil has become heavily involved in the defense of pharmaceutical products liability actions, generally for medications which have been removed from the market. He serves as lead chair trial counsel for many of these cases and also serves on national expert witness committees for two major pharmaceutical companies. For the past 20 years, much of Phil's practice has involved direct action, insurance fraud and bad faith actions. His work in these areas has been as lead counsel for both trials and appeals. Due to the popularity of interest-sensitive "vanishing premium" litigation and his experience in working with actuaries, Phil not only handles these cases as lead chair but often consults with other insurance defense counsel in the preparation of actuarial testimony and strategy for trials. Additionally, he has been involved in defense of pharmaceutical marketing and pricing litigation. Phil currently serves as managing partner of the firm’s Montgomery office.